Our BMW dealership is proud to offer not just outstanding luxury vehicles, but a service experience to match. 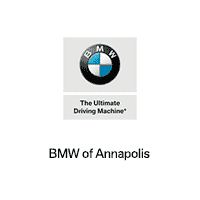 For drivers in Annapolis, Highland Beach, and Hillsmere Shores seeking a new BMW model or a pre-owned car from one of your favorite brands, our team of experts at BMW of Annapolis is here to help you discover a model that’s perfect for your needs. Our entire inventory of both new and pre-owned vehicles is conveniently available online, so you can view it from just about anywhere, any time. Browse popular BMW models such as the 330i sedan, X1 SUV, and 320i sedan, or check out our pre-owned inventory. Whether you need a fun and sporty sedan or a large, refined SUV, you’ll find an option you love on our lot. If you’re not sure exactly what you need, our team of automotive experts can consult with you to determine which of our BMW models would be the best suited to your lifestyle. If you have any questions while you browse, either online or in person at the dealership, feel free to reach out and speak with a member of the team. Once you’ve narrowed in on a model you love, it’s time to secure a payment plan that makes sense for your financial situation. Luckily, our BMW finance center is staffed by a team of financial experts who can help you find that plan, working with our loan partners to find you a low interest rate. Start by filling out our form online to get pre-approved for your car loan. We’ll review your information and get back to you with your loan or lease options. We’ll assist you through every step of the process, so you’ll never feel overwhelmed and you’ll know exactly how your payments work. If you’re looking to replace your old car with your new one, we can even buy your old car from you and put the money toward the price of your new one. This will save you on the overall price of the vehicle, and you’ll save yourself the hassle of having to sell the vehicle yourself later. After you drive your new car home, you’ll want to make sure it stays in like-new condition for as long as possible. Our service center can help you to do so by providing you with preventative maintenance services and any repairs your car may need. Whether you need a simple oil change or tire rotation, or you need an intensive transmission repair, our team can handle your problem. Each of the technicians in our service center is specially trained to work on BMW vehicles, so you’ll know your car is in the most capable hands. Ready to come get started on your search for a new car? Start by checking out our inventory, and once you find a model you like, you can contact us to schedule a test drive. Soon, you’ll be zooming around the streets of Annapolis, Highland Beach, and Hillsmere Shores in your new BMW!